Welcome to Lower Key Stage 2. As the children move into the Juniors there is an expectation that they will begin to become more independent with the organisation of their resources. The children have their own trays to store equipment in and also a locker each in the cloakroom to store their PE kits, bags and coats. Children now use the back playground and field for playtime and lunchtimes and have a variety of activities to choose from during Friday's Golden Time. 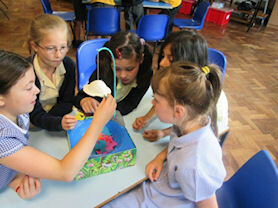 The children can join in lunch time club, which offers a range of craft and art type activities. The children follow the new National Curriculum in Year 3 and 4 and enjoy a variety of topics, including Ancient Egypt (Year 3) and Ancient Greece (Year 4). A range of outdoor visits, including visiting a Roman Fort, Cadbury World and a whole Key Stage Theatre visit are also incorporated into the curriculum. In Year 4 children all have weekly whole class keyboard lessons provided by the Music Service. The children also begin to start learning a Modern Foreign Language in Year 3, these weekly lessons continue throughout all of Key Stage 2. The children in Years 3 and 4 all participate in the Junior Christmas Production, taking on the roles of choir and backing dancers. They also have the opportunity to participate in Area Sports which is a local athletics sporting event involving all Sutton Primary Schools. Children are also able to start learning a musical instrument with brass, woodwind and string instruments all being offered. 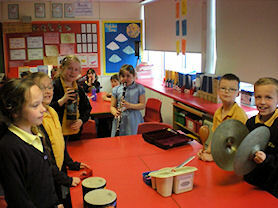 Year 3 enjoying a Music Day. Year 3 and 4 working together on Maths games. 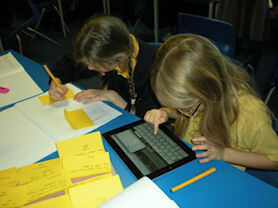 Using iPads during Topic Lessons. 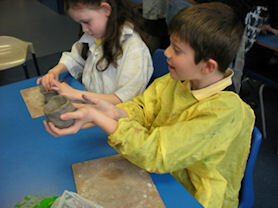 Making Egyptian pots out of clay. 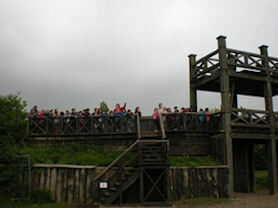 Year 3 visiting Lunt Roman Fort. 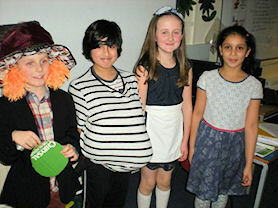 Year 4 enjoying World Book Day.